Lisa King is the February 2018 CEHS Staff Star Award recipient. Lisa King, staff assistant in Child, Youth and Family Studies, has been named the CEHS February Staff Star Award recipient by the CEHS Staff Council. King’s thoughtfulness and concern for others was often mentioned by nominators as a quality that makes her shine. Congratulations to Lisa King, the February CEHS Staff Star Award recipient. To nominate a staff member for a future award, please visit the Staff Council webpage to fill out the online nomination form. Diane Pope, Educational Administration, is the December Staff Star Award recipient. Diane Pope, secretary in Educational Administration, has been selected as the December Staff Star Award recipient. 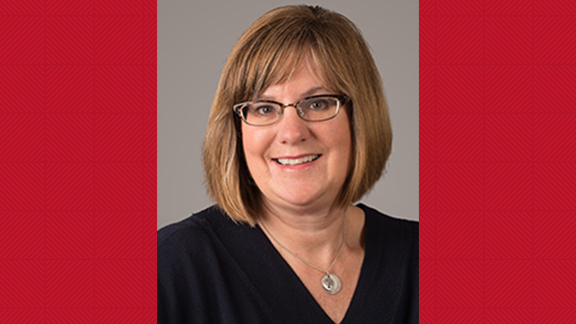 Pope has served EDAD since 2005 and has been with the University of Nebraska–Lincoln continually since 1988. Her ability to innovate and multitask were among the skills nominators wrote about. Pope’s responsibilities during a recent search process for a new department chair were cited as an example of her qualifications for the award. “Diane was an integral part of that Chair search being successful, and it could not have been done without her,” said a nominator. Pope’s departmental duties include arranging travel details for faculty, scheduling and assortment of EDAD meetings and scheduling doctoral dissertation defenses. Her administrative support of the National Council of Instructional Administrators was also appreciated by a nominator who said Pope’s knowledge of NCIA was invaluable. According to nominators, Pope “finds a way to make things happen” and “does whatever she can” to take care of problems and the needs of faculty, students and others. To nominate a staff member for a future award, please visit the Staff Council webpage to fill out the online nomination form. Lisa McConnell is the October Staff Star Award recipient. Transitioning office processes from paper to electronic is one big accomplishment of McConnell’s. She has organized documents on UNL Box cloud folders and provided access for her office mates. Her expertise in arranging travel for department faculty and faculty candidates has also been a great asset to CYAF. McConnell handles typical office duties but goes above and beyond—even coming in during the summer (she’s a 10-month employee) to place orders or to cover when other staff are gone. Perhaps her most appreciated quality is always being ready to help. She is quick to assist people on the phone, faculty, staff and students. “She does whatever it takes,” says her nominator. Congratulations to Lisa McConnell, the CEHS Staff Star Award recipient for October. Food and shelter insecurities are an unfortunate reality for students at the University of Nebraska-Lincoln and nationwide. Nearly 1 in 3 students on our campus worries about not having enough food until they get money to buy more. In January 2017, the Office of Student Affairs and Dr. Juan Franco, a faculty member in CEHS, launched the Huskers Helping Huskers Pantry+. "There is nothing more sad than watching a student suffer, especially when it comes to issues like hunger and not having a place to live," said Juan Franco, vice chancellor for student affairs. "Huskers Helping Huskers is going to be much more than just a food pantry. It will provide comprehensive services to help those students struggling financially." Sadly, Dr. Franco passed away in August 2017. In memory of Dr. Franco, the CEHS Staff Council is sponsoring the 2017 CEHS Giving Challenge to support the Huskers Helping Huskers Pantry+ at UNL. Please help us surpass our 2016 efforts of collecting 758 items and $435 in cash contributions. The Challenge begins today and ends on Friday, December 15. The Huskers Helping Huskers Pantry+ provides food and shelter insecure students with food, hygiene items, and school supplies for free. Information about community resources for housing and other food assistance programs is also available. Any current student at the University of Nebraska-Lincoln who is in need can stop by the Huskers Helping Huskers Pantry+ to pick up free food and hygiene items and/or get help connecting to university and community resources related to food and shelter insecurity. Below is a list of needed items. Donations will be collected at the Educational Administration office (141 TEAC) on city campus, or at the CEHS Dean’s Office (105 HECO) on east campus. Each CEHS faculty or staff member who participates in the 2017 Giving Challenge will be entered in a drawing for the chance to win one of two special crocheted afghans. Winners will be announced at the CEHS Staff Holiday Luncheon on December 21 and shared college-wide after the event. If there are questions, please contact Melanie Kellogg at mkellogg1@unl.edu or 472-9359. A list of all items stocked in the pantry is also available on their web site (https://pantry.unl.edu/). ~Checks should be made out to UNL- Huskers Helping Huskers. ~Gifts also can be made to the University of Nebraska Foundation, fund #01140700. On the Foundation website, search the fund number 01140700. Online gifts can be made via credit or debit card, and an electronic donation receipt will be emailed to you. Memorial gifts can also be made through the foundation website. On behalf of the CEHS Staff Council, thank you for considering contributing to the Giving Challenge in memory of Dr. Franco and supporting UNL students in need! Brian Wilson, instructional design tech specialist, has been selected for the August Staff Star Award. Wilson hosts frequent brown bag sessions for faculty members to maximize student learning in online classes. He has also presented at online education conferences. Wilson’s work with colleagues in CEHS and across campus resulted in an online student success center for online graduate students in the Department of Educational Administration (EDAD). The project, designed to establish a community of learners and ease their transition into online education, was recently featured in Educause Review, a higher education IT publication. Wilson also took the lead in writing a successful CEHS Technology Innovation Grant to provide EDAD faculty with VoiceThread, a resource to help faculty better support their online students in critical research classes. Wilson was also acknowledged for his ability to “build genuine relationships” and for his proactive involvement on the CEHS Staff Council where he has worked with colleagues to form a craft art group and a group of walkers to help improve health. Congratulations to Brian Wilson, the CEHS Staff Star Award recipient for August. Michelle Maas, research project assistant in the Department of Educational Psychology, has been named a CEHS Staff Star Award recipient. CEHS Staff Council President Nancy McConkey made the announcement and presentation in February. A nominator said that Michelle was “a full member of our research/project group” and was valued for her constructive questions and suggestions. Among her responsibilities are editing and managing preparation of manuscripts, handling publication logistics, and project organization. Her colleague said Michelle was a self-taught expert on U.S. Department of Immigration and Naturalization rules related to employment, visas and travel and is knowledgeable about Chinese visa and travel regulations. Congratulations to Michelle Maas for being selected as the latest CEHS Staff Star Award recipient. To nominate a staff member for a future award, please visit the Staff Council webpage to fill out the online nomination form. We had a fantastic turnout for the 2017 International Luncheon. We capped off our puzzle theme this year by signing and building a giant "CEHS" puzzle. In addition, we learned a bit about Chinese qipao dresses and had a fantastic demonstration from the Chinese Silk Road Fashion Show. We ended things with the FitBit drawing. Congratulations do Brad Stauffer and Flora Fix for winning this year's drawing! CEHS Staff Council President Nancy McConkey has announced Sushma Jolly as the December Staff Star Award recipient. Jolly is an instructional design technology specialist for the college. Among her duties are supporting faculty who teach online courses through Canvas and Blackboard. Her nominators were complimentary of her ability to improve the online learning process. Congratulations to Sushma Jolly for receiving the December Staff Star Award. To nominate a staff member for a future award, please visit the Staff Council web page to fill out the online nomination form. Help support our Husker students in need! Checks should be made out to the Lutheran Center and place OpeN Shelf in the Memo. INTERESTED IN A CHAIR MASSAGE? Each CEHS Faculty Member, Staff Member or Student who participates will have their name entered into a drawing for a chair massage. Winners will be announced at the CEHS Staff Holiday Luncheon December 21, 2016. As the Office Manager in the Department of Child, Youth and Family Studies, Catia does a wonderful job of motivating our team and does her job with a smile on her face. She loves people, works hard (often after hours and on weekends) and does a great job of handling multiple tasks at the same time. She is always available for support and goes above and beyond to help anyone when needed. Catia has been an outstanding individual to work with since she first started working in the CYAF Department Office. She is always encouraging the staff to take advantage of professional development opportunities, and to participate in organizations on campus and take time out for those meetings. We all know that each morning we will be welcomed with a smile, and her door is always open to anyone who needs to talk, needs assistance, or just wants to say hello. Catia has endless drive to get things done and a knack for creating practical and efficient solutions to any problem that arises. She's well-loved by the faculty she supports and is indispensable to most, if not all, of the functions of our department. So, if you get a chance, stop by CYAF and congratulation Catia. She is very deserving of this award! Reminder: Please consider nominating a CEHS staff member who goes above and beyond their scope of duties for the Staff Star Award. Staff members can be nominated multiple times. The nomination form is at https://cehsvl01.unl.edu/cehs/awards/nomination_form_v4_star.php. Dean Young is an amazing team member! He is gracious and helpful to our visitors, going out of his way to ensure that guests have an enjoyable visit. Our rentals have more than doubled; and Dean sees to each detail - as such, we are booking repeat business. Dean did a wonderful job overseeing the construction of our expansion. He was the perfect liaison between Quilt House; the architects and the construction company making sure that each team knew what needed to be done, and when. Without fail, Dean will volunteer to take on additional tasks and complete them without delay or adversely affecting his other responsibilities. And, he does it all with a great attitude and smile. So, if you get a chance, stop by the IQSCM and congratulation Dean. He is very deserving of this award! Kim Osmond started working for OLLI as a student intern, graduating from the CEHS HTRM program in 2013, and was hired as the OLLI event coordinator in 2015. OLLI members have embraced Kim as a vital contributor to the organization. She works closely with the volunteer members on the Special Events Committee, Travel Committee, Theme Committee and as required supports other groups with plans for special events, symposiums and speaker series. Kim's responsibilities require her to work evening and weekend hours on occasion. She is always there, well prepared and ready to work. Kim builds relationships with her easy-going, engaging personality in addition to her skills in detail planning and juggling multiple projects at one time. Kim has a positive attitude at all times, relates well to her co-workers and fosters a positive environment in the OLLI office. In addition to her responsibilities for event planning, Kim provides membership (customer) support during peak times of registration and regular office hours. She is very organized and seeks ways to continue to improve through professional development and engagement outside of OLLI. So, if you get a chance, stop by room 125 in the Home Economics Building and congratulation Kim. She is very deserving of this award! "In addition to his regular support activities, Mat has also taken on the role of HIPAA Security Officer, technology liaison for vendors of classroom equipment, technology expert for distance education, supervisor for computer disposal, and author of source code to sustain our clinic observation system. As the HIPPA privacy/security officer, he has done a nice job of balancing the need to have good work flow with the need for security. In addition, Mat went out of his way to help train 34 master's clinicians in the use of the recording system in the Barkley Center." "Mat has shifted his hours so that he would be in the building when evening online classes began in case of trouble with the hybrid classrooms. His later availability has more than once "saved" a class when Adobe Connect or the conference room computer would not cooperate or communicate with one another. For many years it was Mat at 6-6:30 p.m. weekly helping to test the audio system as students called into the conference line for a hybrid class. He always stays after a solution is found to a dilemma to see if the solution is stable and the class can move forward." "By providing computer and tech support in his kind, patient and supportive manner, Mat diffuses many difficult and trying moments when technology doesn't seem to be working. He will also take the time to explain and give 'dummy' directions to those of us that don't have a "techy" mind in such a way that isn't insulting and allows for learning and understanding." Stop by room 202L in the Barkley Center and congratulate Mat. CONGRATULATIONS to Diane Sealock, staff assistant for certification and recruitment in the Field Placement Office, for being selected as the December 2015 recipient of our Staff Star Award. Diane performs at an extremely high level in all facets of her position. Her primary responsibility of processing all certification requests (from most of the other 49 states plus the District of Columbia) that come through our office is responded to in a professional, courteous and efficient manner. The quality of her work in this area is exceptional, and there is always a great attention to detail. 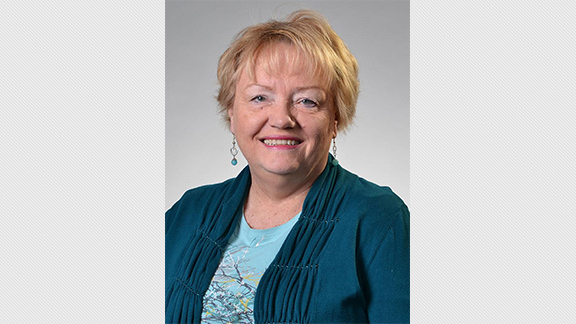 Diane is also responsible for staying current on Nebraska requirements for certification and works with a number of grant/loan forgiveness programs offered through the Nebraska Department of Education. She has also taken on more responsibilities tied to electronic record keeping which includes keeping track of test scores for student who are completing the CORE and Praxis II exams. These are all important tasks that are crucial to the certification process. Diane helps Karen Kassebaum, the college recruiting director, by organizing campus visits and making sure all materials are ready when students come to our office. She has also helped Jon Kerrigan, Global Exchange Coordinator for the College, and Sara Skretta, our new Director of Professional Experiences, make the necessary adjustments to their new positions and has made sure they feel comfortable in their roles. 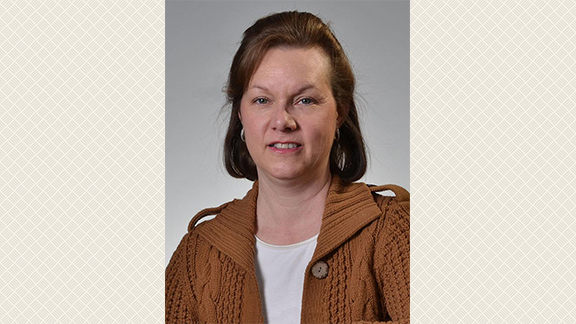 Providing excellent service to everyone who needs our assistance, Diane addresses all matters in a courteous and timely manner, and when called upon to do so, she utilizes excellent judgment and makes sound decisions on all issues. She is an excellent worker who gets along well with all of her colleagues in the Student Services Center, and everyone who has any contact with our office. Jeff provides an exceptional service. Whenever something has to be done he does it, even when it is last minute and he could easily say it’s too late. He has an easy smile and an attitude that makes working with him and the Pixel Lab an absolute joy. Last summer [during the remodel and while the IDC was short-staffed] Jeff was the main person at the lab and rose to meet all challenges professionally. He is an asset we should all be proud of. Jeff is the point person in the newly designed Pixel Lab handling the bulk of the design work and handling it supremely. He welcomes clients' questions and projects and a client's problem quickly becomes his problem. Jeff embraces his work – and that shines through in his smile and the masterful graphics he creates. Staff members celebrated the diversity of the 55 countries currently represented by CEHS staff, faculty, and students at the International Luncheon April 7 at Quilt House. The delicious salad toppings and desserts on the buffet provided by Associate Professor Fayrene Hamouz's catering class were drawn from several regional and international cuisines. As they enjoyed their salads, staff members were treated to a fascinating demonstration of taiji exercises and techniques by members of the Lincoln Taijiquan, led by Professor Gary Yuen of UNL's Plant Pathology Department. The techniques included duilian (paired practice), tuishou (push hands), and wuqi (weapons form). Dr. Yuen explained the fundamentals of taiji as his students performed the choreographed sequences. More than 40 CEHS staff members braved the rain to attend the Staff Development Day on East Campus. Staff were greeted by Dean Kostelnik. Presentations and hand-on workshops were available in saving to the Cloud using UNL-Box (Ranelle Maltas), collaborating using Adobe Connect (Donald Robertson and Leona Barratt), and cooking international treats (Dr. Georgia Jones). During lunch, Floyd Sylvester offered sound advice on dealing with difficult people. The presenters enthusiastically shared their expertise, and staff members enjoyed the opportunity to learn something new and to spend time with colleagues from throughout the college. In addition to her duties within the counseling programs clinic, Allison is the administrative assistant for the Nebraska Internship Consortium in Professional Psychology. Our consortium is one of the largest APA-accredited sites in the country. It is not an understatement when I say that this site would not run without Allison. Allison consistently goes above and beyond her job responsibilities. She is intimately involved in organizing our training, board meetings and site administration. We have 35 interns across five agencies that have interns from Chadron to Nebraska City. The administration of this consortium is enormous and Allison handles it with ease. She also provides innovative ideas to training problems and is seen as the go-to person by all. Allison also makes it her mission to get to know all interns. In order to accomplish her tasks, she needs strong interpersonal skills, a high level of organization and creative thinking. She shows these qualities on a weekly basis. Lori has been one of the cornerstone administrative professionals in the Department of Nutrition & Health Sciences (NHS) for many years. Her patient and knowledgeable demeanor has been the smiling face of our department for ALL graduate students and many undergraduate students in CEHS. She welcomes students with smiles and compliments, and helps them find answers to the questions they have, and according to the students, makes them feel comfortable and "part of the family" of NHS and CEHS. She is the prototypical example of an employee who makes everything flow smoothly within the department by working hard in the background – and she never demands recognition or credit for all the work she does. Ultimately, her selflessness is one of the main reasons she is so deserving of the CEHS Staff Star Award. Lori has coordinated the graduate program during most of her time in NHS. She also serves as a liaison between the faculty and course requirements, curricula, bookstore needs, and student applications. Lori has so much experience and works so hard for our graduate program. She is invaluable and largely unrecognized for her monumental daily contributions. Nearly 60 CEHS staff members enjoyed a pasta buffet lunch catered by Noodles & Company at Quilt House. Staff Star award winners were recognized. Leigh Esau, co-founder of Foster CARE Closet, spoke about needs of children in foster care in Nebraska and how the Foster CARE Closet helps them and the foster parents caring for them by providing clothing and a meeting space when children are placed in a foster home. Alex Trout and Kristin Duppong Hurley described the packages sent to children in foster care by the Letterbox Club, a project operated by faculty and staff in the Center for Child and Family Well Being. CEHS staff members generously donated nearly $400 to be divided between the Letterbox Club and the Foster CARE Closet. Dean Marjorie Kostelnik thanked the speakers for their efforts in addressing a need in the community. Joan is called "the face of HRTM" by some because the work she does touches every student. Her dedication to the students, faculty, department and college is really admirable. She's been a key player and instrumental in many accomplishments our program has achieved such as helping to develop and now maintaining the program webpage. Joan volunteers to run work-related errands that are really outside the scope of her duties. Nadine provides excellent customer service to the more than 1,100 members of OLLI through registration services at five peak times during year, phone contact, email contact. She supports more than 180 volunteer instructors annually. Her co-workers acknowledge her friendly attitude, cooperation, her efficiency skills and service orientation to the OLLI members. Members comment how friendly, efficient and accommodating Nadine is with all of the responsibilities she is charged with. On October 14th, approximately 28 CEHS staff attended a presentation by Dr. Dennis Molfese at the Center for Brain, Biology, & Behavior (CB3) located in the University of Nebraska’s football stadium and sports complex. Dr. Molfese, director of the center, spoke to the group about the unique and inter-disciplinary collaboration efforts of distinguished faculty that are resulting in many new and exciting ideas being researched and tested at CB3. among many other state-of-the-art pieces of equipment and space that enhances its research capacity. With approximately 31,000 square feet of space, CB3 also has other specialty areas that set it apart from any other research center in existence. Being located within a sports complex gives CB3 the ability to instantly treat and study the effects of concussions, brain function, and their impacts on human behavior. The current research focus is on athletes who suffer from concussions. However, this research will also lead to improving the treatment for the more than 1.7 million Americans affected by a Traumatic Brain Injury (TBI). * Other areas being researched include infant brain mapping, continued study on the effects of “Shaken Baby Syndrome”, and Genotyping that could lead to better treatment for people with addictions. The CEHS Staff Council thanks Dr. Molfese for his time and we encourage anyone with an interest to attend a tour of the facility. FUN FACT: One of the MRI magnets located in CB3 is strong enough to pull a loaded semi-truck two full blocks! Now, that’s the POWER of RED! Overseeing as many as twenty events per year, she manages all aspects of the events (guest lists, caterers, invitations, technology, both on-campus and off-campus and/or out-of-state venue locations, and much more). Jenny serves as the front desk receptionist in the city campus Dean’s Office and also handles the Dean’s travel arrangements. With her sense of responsibility, planning, hard work and attention to details, College special events are smooth running and festive. Jenny has lots of projects—with lots of details—and lots of responsibility. Jenny’s thoughtfulness and attention to detail are evident in everything she works on and are appreciated by many.